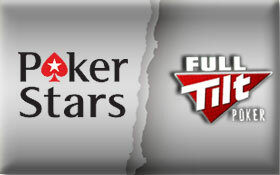 In the wake of the news that Full Tilt Poker had its license suspended by the Aldernay Gambling Control Commission (AGCC) PokerStars and its own regulatory body the Isle of Man Gambling Supervision Commission (IMGC) worked quickly to assuage the fears of any PokerStars players by issuing the following official statements. Since Black Friday online poker players are finding it more, and more, difficult to find a place to play online poker, and even more worrying is the distinct chance that wherever you choose to play you might find that room shutdown at any moment… This is a very troubling time for online poker. This entry was posted on Thursday, June 30th, 2011 at 8:20 am and is filed under Poker News. You can follow any responses to this entry through the RSS 2.0 feed. You can leave a response, or trackback from your own site.